Wow, they look a lot better than I had imagined. 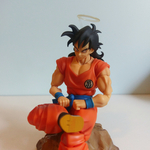 I didn't expect Goku's hair to have that sort of paint application. I'm digging them a lot. Figure-rise Mechanics advertisement that showcases that new Vegeta figure. The saiyan spaceship pod is up for pre-order on AmiAmi. 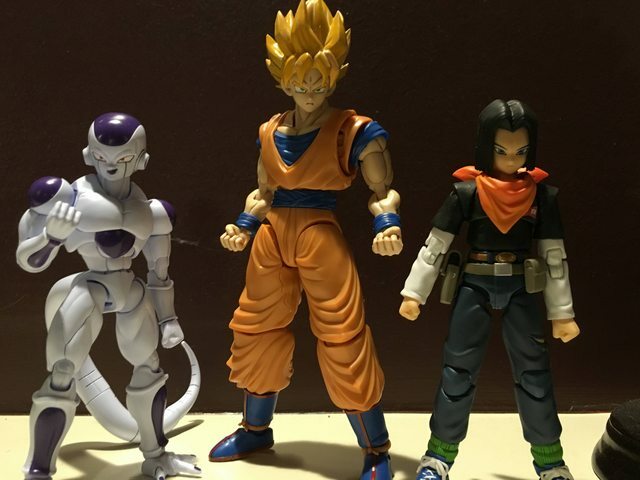 The set includes the spaceship, stand, and non articulated Vegeta figure. Here's a size comparison I got from a dude on Reddit. 17 was the only Figuart he had, so I included another picture to compare it to. Hey, that's not as far out as it seemed. 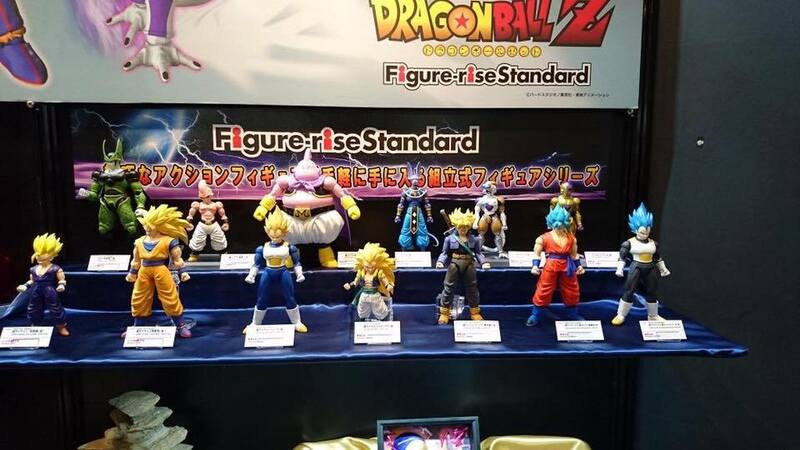 Frieza is too big definitely but Goku looks alright. I wonder if that Mecha Freiza they showed would be any smaller than that 100% Freiza. I just looked at the pictures again and did I just notice a f*cking gotenks?!!! Yep, he's one of the ones I intend to get. I also just noticed that I forgot to put a picture of Mecha Frieza on there, so that's been added as well. On second thoughts, Mecha Frieza wouldn't be such a good fit with Figuarts, since Figuarts Trunks is already extra short. Damn! That Scouter Vegeta is a non-poseable figure. The majority of the prototypes are not articulated. 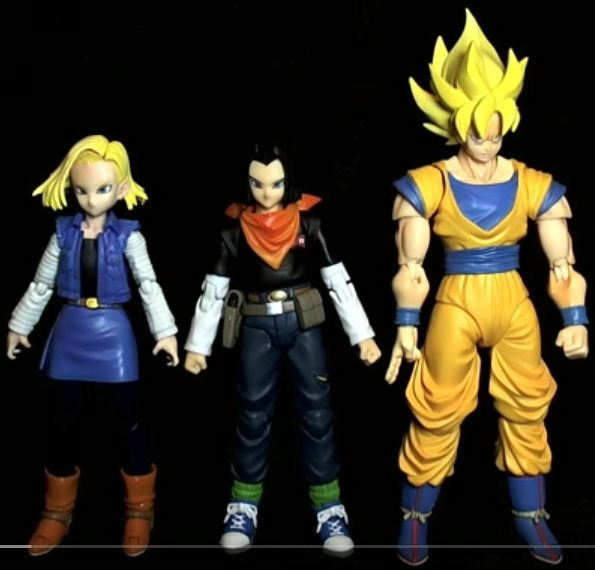 I don't imagine that Scouter Vegeta figure would be added with the Saiyan Pod even though it would be a nice touch. 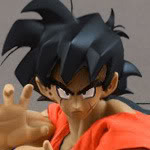 I put in my preorder for the Saiyan space ship on hobby link Japan. Cheapest so far that I've seen at just over $30. It is included and is unarticulated according to the information on AmiAmi. Be careful. I ordered my Goku and Frieza from AmiAmi and for some reason the pricing on shipping was ridiculous. I don't know if it has something to do with how big the box is or what. I hope that was just a secluded incident. Wow, it really is! Good catch! I did not expect that. This just went up in my book. I mean it is being shipped from Japan, so if you want quick shipping you should expect it to be like $30+. I picked slower shipping, shouldn't be too bad. I choose SAL shipping all the time and it was still ridiculously expensive. The Perfect Cell looks incredible. He isn't kind of weird like the others (mostly characters wearing pants). Just look how great he looks. What size are these figures? Does anybody have any group shots of the prototypes together? Cell looks like he might be an inch or two taller than Goku to me. Look back in the first reveal where the villains were all on the same back row and estimate the height difference of Cell and Frieza compared to what we know the difference between Frieza and Goku is now. Could be wrong tho. Hmm, looks like he might be even larger than the Figuarts one huh?